Deep house all the way from Turkey here, peeps! There are three tracks in all: I Blues, You Blues and You Blues [dub KULT Remix]. I Blues is pretty much your straight-up deep house (from the more soulful end of the spectrum). You Blues is my pick of the two though, partly for the super-lush chords/stabs and partly because of the wailing backing vox that give the track that little extra Turkish twist. dub KULT, meanwhile, takes us down a slightly techier path, but without losing any of the track’s essential soulfulness… and also makes more of that weird backing vocal. I’ve never found myself having good times on bad drugs in the back streets of Ankara, so I can’t swear down that this is what it would sound like, but you get what I’m saying. About: This is on Living Records, which is dub KULT’s London-based label and has been going since 2006 – find ’em on that t’internet here. 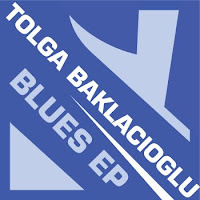 Tolga Baklacioglu, meanwhile, is Turkish and – so Discogs has just informed me – has had previous releases on Psycle Records, Lebendsfreude Records and Multi Vitamins. More info at his MySpace. This is what it’s all about – quality deep house on a label you’ve never heard of, by artists you’ve never heard of. Go seek! You can always rely on Lost My Dog for some quality deep house and they don’t disappoint here! Right, sorry, I’ve been stupidly busy last couple of weeks, what with the day job, reviewing some robot vacuum cleaners (no really), plus the launch of our new Sunday residency Original Sound Track and trying to organise my birthday party. There’s a track on here called Jazz Piano Triumph. And very aptly-named it is too! Just ace. 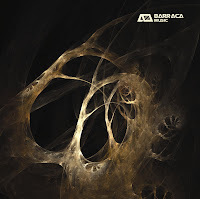 Check this even if you didn’t like the album, Voorn’s version is much better and a lot housier. Only the fourth release on very checkable new UK imprint Home Taping. Find ’em on MySpace here. Better than you think it’s gonna be, I assure you. This is a bit more techno than would normally find its way onto This Is Why We Dance, but as techno goes it’s pretty cool. The original mix is also pretty straightforward, just a drummy loop that doesn’t really go anywhere much, although it does have some nice space disco stabs. Better though is the Santos Provocation Remix on the flip, which goes down a slightly deeper path but also has these kind of spaceship-taking-off noises in the background (nothing so cheesy as a countdown I don’t mean, just a steadily rising, rushing synth sound) for added tension. Like I said, a bit techno-y for me really, but not a bad bet for those locked-on, lost-in-the-groove kinda moments. 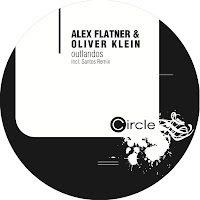 About: This is on Circle Records, which is Flatner’s own label, and it’s the labels 26th release. There’s a website here but it doesn’t seem to have been updated for a while. I is havin’ one of those weeks. One of those weeks where you’re behind with absolutely everything and being pulled in 27 different directions at once, and next seem to have a moment yourself sometime in 2019. So apologies if the blog updates are a bit infrequent! 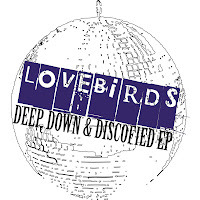 Still I do have five minutes right now and this one’s nice and easy to tell you about cos Lovebirds has kindly done it for you in the EP title! Three tracks, and every one a cracker. You know how certain German producers have been kind of reprising that late-’90s disco house sound? Well so it is on the three tracks here, particularly on The Ride, which would sit perfectly happy alongside the likes of I Feel Good Things For You or Needin’ U or Salsoul Nugget or… you get the picture. My pick though is Mandrill, which is a bit more deep and nu-disco-y. I’d have happily put this in iDJ but it came in WAY too late… still, that’s what this blog is for, innit? About: This is the latest from Germany’s long-running Knee Deep stable, about whom you can find out more here. And it comes (as you’ll have noticed) from Sebastian ‘Lovebirds’ Doering, who’s somewhat of a boy to watch lately, what with releases on Winding Road, Freerange and Om. You can find his MySpace (and also HEAR THESE TRACKS) here. Right, I’m going to come right out and say it: I never rated We Are One much. Well, at all, if we’re being honest. I’m aware that lots of people love it, but the lyrics have always been a stumbling block for me – am I the only person who thinks they’re just FACILE BEYOND BELIEF? 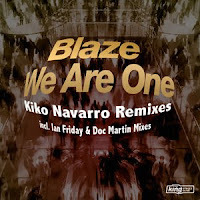 Normally I rate Blaze highly as songwriters, but that just goes to make We Are One, which sounds like it came from the Barney the Dinosaur songbook, even more of a disappointment. So we’ll concentrate on the dubs here, shall we? Cos I’m loving those, and both the driving Look |nside Dub (which uses just a “look inside” vocal snip, and manages to toughen things up quite a bit without losing any of the musicality) AND the Viva UR Dub (a fully instrumental affair whose name describes its stripped, Detroit-influenced tack nicely) have definitely got a place in my heart. “We realise Mores & Seraphine may be new names to you, but don’t let that discourage you from checking out this exciting offering,” says the press release. Bless. Actually I do check out everything I get sent… just some of it only lasts about 10 seconds*. This three-track EP certainly lasted a lot longer than that. In fact, I listened to it several times, I’ll listen to it again, I’m writing about it on here and I might even play it in public. Hah! It’s the work of two new Polish producers, and the tracks in question (called Track 1 and Track 2, plus there’s a remix of Track 2 from the UK’s Mr Cenzo as well) basically operate in a nice chunky–but-mellow deep house arena. They lean a little towards the proggy side of things maybe, but not tediously so – only in the way that, say, some of the early Yoshitoshi stuff did. If pushed I’d go for the Mr Cenzo mix (which is the least proggy) but all cuts would be eminently playable in warm-up/post-club type scenarios. Not got huge amounts to say about it beyond that really but it’s good. So if Mores & Serephine are new names to you, don’t let that… etc. 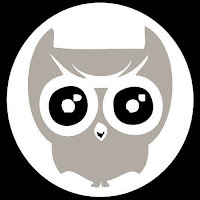 About: This is on Nightbird Music, which is a new-ish label (this is NB004) from Groningen in Holland, run by Sebastian Davidson, who you may recall once had a single of the same name on Seamless (among 40 or so other releases in the past four years). More info (and HEAR THIS) at their MySpace and at Sebastian’s own website. *There are certain nasty synth sounds (or a certain way of rapping in a London accent about what it’s like being a teenager) that will pretty much guarantee that. A bit late on this one, but it was just too good to ignore… and anyway I’ve promised them, now. So forgive me that it’s been out a few weeks, eh? The original mix of Ride The Horse is a techy-ish houser with a hip-twisting main riff and – a first in house music that I can remember – a sample of a horse whinnying. Or neighing, or whatever it is that horses do. It sounds a bit daft… well, I suppose it is a bit daft, but it reminds me of days back in the ’90s when we were all a bit less snobbish and chin-strokey, and I like it. So there. And then you’ve got four remixes to choose from. Robytek & Ralf Armani go all big dark room, with whooshy kicks and maximum loopage; UGLH & Federico Locchi take the track down a more discofied kinda route, and Doomwork deliver a stripped-down pass that owes a little to techno, but only techno in its purest Detroitiest form, with a neat little jazz trumpet riff thrown in for good measure. To round out the EP, Aki Bergen takes us into the very lushest of deep house pastures, with a rub that you could POSSIBLY describe as a bit generic deep, except that it’s just so damn GOOD – up enough for the floor, mellow enough for home, just the way we like it. So yeah, a pretty spiffing EP all round, then, with a varied set of mixes to appeal to a range of jocks and/or suit a range of moods/times/settings. Out: For a few weeks now, but like I said it was too good to leave unsung! 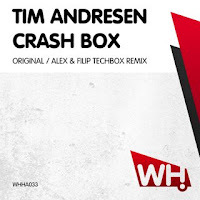 Tim Andresen’s an old friend of iDJ’s – he used to write a column for us on dance music goings-on in Denmark. He’s also one Denmark’s leading house DJs and a pretty dab hand in the studio himself. Crash Box is a midpaced instrumental from that deep/prog kinda border. It’s not massively groundbreaking or anything – nor is it the kind of thing you’ll be humming all day – but I do like the way the synths spiral off into outer space. No doubt taking many a mind with them! 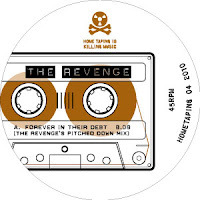 It’s accompanied by the Alex & Fillip Techbox Remix, a tougher take by far – the kind of house that could appeal equally to Italian techno fans at Cocoon, or something. It’s okay but the Original is the one for me here. About: This is on What Happens, which is Tim’s own label and pretty well established by now. Find out more at their website. One of two bits I got sent from Artizan this month – there’s an excellent Poussez single forthcoming as well but that’s not out till April. For now, there’s this. 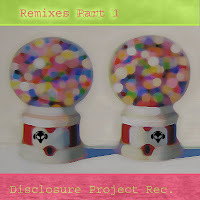 “This” being a three-tracker of (almost) instrumental house music in various flavas. The original of Yes Weekend is uptempo deep house with a funky/disco kinda feel, the WC10 Remix isn’t hugely different but with more of a proggy/techy kinda vibe, and then there’s bonus cut Who Knows, which is eight and a half minutes of driving deep, techy prog that is remarkably similar in sound to classics like Plastic Dreams and The Man WIth The Red Face. But then since when was that a bad thing? Three solid cuts then. If forced to pick, then for me it’s between the original of Yes Weekend for da funk, or Who Knows, which is derivative but which will do its job for sure. 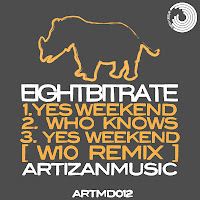 About: This is the latest from Artizan Music, the label run by Jafar and Maxime Cescau from their bases in London and Sweden respectively. More info at their website.